NEW LOWER PRICE! Reduced C$20 / Was C$149! 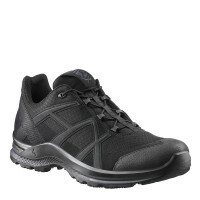 Product information "HAIX Black Eagle Athletic 11 Low"
The HAIX Black Eagle® Athletic 11 Low is the perfect gear anatomically designed for the man who is always on the go whether it’s for a run or on active police duty. The athletic gear combines both innovative technology with all day functionality making it the ideal shoe to wear on the job and off, inside and out. The HAIX Black Eagle® Athletic 11 Low is lightweight, comfortable, and durable with many features you never thought could exist in a boot. And because it’s metal free, you can take it and wear it anywhere even when working around metal detectors. The sole of the shoe is made out of special rubber mixture for long-lasting durability. Combine this together with a unique tread design ensures excellent grip on various terrains. The excellent multi-directional anti-slip grip allows you to run, stop, and turn in these shoes without having to worry about falling or slipping. It’s also oil resistant and gasoline resistant and won’t mark up your floors. The shoe’s built in stone shield protects your feet from every rock or stone that you might encounter on uncertain terrain. It also stabilizes the shoe, guiding your stride during unstable movements to prevent foot injuries. The TPU cap over the toe of this footwear provides a little more abrasion protection, especially when walking through areas that can be rough on the on the toe surface. The cushioning in the heel area of this athletic shoe makes it absorbent to any kind of shock while the spring-back material in the forefoot allows you to efficiently use your energy. The supination and pronation support provides an even distribution of weight throughout your foot which is good for your foot health. While supporting the center of the heel, it prevents your arch from collapsing inward. Your feet are kept in their optimal, natural position. The removable antibacterial sole is made out of a softly cushioned material to provide your feet with long-lasting comfort throughout the day. And even without GORE-TEX®, you are still assured of drier feet at all times thanks to the sole’s moisture absorbent properties and AIRFLOW channels. With the light microfiber design that’s extremely breathable, all parts of your foot including your sole and midsole will feel comfortable as you walk, run, or jump. The smart lacing system allows you to get in and out of your boots without having to worry about whether your shoelaces are tied or not. No more tying, no more knotted laces to ensure your shoes stay tied. Just tighten the slider and your shoes stay secure all day long.. With the HAIX Black Eagle® Athletic 11 Low, you get to be on the go anytime you want! Related links to "HAIX Black Eagle Athletic 11 Low"
Our comment on "HAIX Black Eagle Athletic 11 Low"
Customer reviews for "HAIX Black Eagle Athletic 11 Low"
I started wearing Haix duty boots about 5 years ago. I have since had 3 pairs and they have all been the best boots I have ever put on my feet. I still ear my first pair (5 years old) for yard work. I very seldom get low back pain wearing these boots. I have encouraged other officers to also try them and the ones who havethey have all loved them. I saw the HAIX Black Eagle Athletic 11 Low 9 on clearance and had to jump at the chance to try them. I have only worn them a few times but they seem very comfortable and feel like they will be durable (like the boot). I like the quick lace system and the style of this shoe. I plan on wearing them on Bike patrol and while instructing classes. Thanks for another great product! I am surprised how many Fire Fighter, Police Officers, EMTS, and Security people have never herd of Haix. A flight nurse turned me on to them, You need more marketing to the Law Enforcement community. Thanks again for a great product. We appreciate you taking the time to review the Black Eagle Athletic 11 Low. We are happy to hear that HAIX boots are the best you've ever owned on duty. We are also glad that these boots provide support, comfort and durability so you don't experience lower back pain while wearing them. Thank you for your recommendations and for being such a loyal HAIX customer. Stay safe out there! Ive had these shoes for a few weeks now and I am thoroughly pleased. It took a while to get used to the lacing system, however now that I have they are almost easier to put on and off than side zip boots! I wear these only as duty shoes, so we will see how long they hold up compared to others I have tried. So far 10/10! Thanks for your feedback on the Black Eagle Athletic 11 Low. We are happy to hear that you are pleased with these boots and that so far they have served you well while on duty. We are glad that after getting used to the lacing system, you are now able to don/doff your boots with easy. We appreciate your service and hope you will continue to be a loyal HAIX customer in the future! I have had these shoes for over two years and the are the absolute best. When the strings broke Haix was there to send me news at no cost. I am however sad that my current pair is worn and my size 12 is no longer available from you or Galls. Was really wanting another pair. We appreciate your review of the Black Eagle Athletic 11 Low. We are so happy that these are the best boots for you. I am sorry you are unable to find your size on our webshop or through Galls but we should be getting more stock soon. So please keep checking back. Thank you for being a loyal HAIX customer. Been in Law Enforcement for 10 years and I've gone through different brands and this is the best brand Ive owned. From now on its going to be Haix. We appreciate you taking the time to review of the Black Eagle Athletic 10 Low. We are happy to hear that you are satisfied with the quality of these shoes and that they have served you well on the job. Thank you for your service, stay safe out there! Best quality boots and shoes ever! I have worn combat boots, work issued boots, and a ton of different types of work shoes. None of them hold a candle to my Haix boots or shoes. I currently work on the beach and my feet stay dry in my Haix boots and they don't sweat in my Haix shoes. There was nearly no break in time and they clean up very easy! I would recommend any department thinking about issuing their troops footware to consider these. My dep does not but if they did these would be a treat. We appreciate you taking the time to share your experience with the Black Eagle Athletic 11 Lows. We are happy to hear that these boots keep your feet dry and comfortable especially in the heat. We are also glad that you found these boots easy to break in and to clean up. Thank you for the recommendation of our boots and for your service! I'm on my second pair of Haix Back Eagles now, and I'm very pleased with how they hug my feet. The arch support is excellent, the shoe rolls like a running shoe, and it has excellent grip even on slippery surfaces. Unlike Haix Airpower P9, the Black Eagle doesn't get hard and slippery in cold weather. A couple of design faults prevent this shoe from being an excellent product, however. First is the subpar ventlation. The shoe really does not breathe all that well despite the mesh, and it is thus far better suited for cold weather use than into hot climates. I have all-leather shoes that breathe better. Second is the way the shoe looks. Out of the box the shoe is nice, uniform black - meaning the mesh and the surrounding material are the same color. Pretty soon though the surrounding materials begin to look grey while the mesh stays black, which gives the shoes a rather unappealing look. Not a big issue if you use them mostly for work or don't care about style, but it ruins them for use where appearing neat is a must. Thank you for taking the time to give us feedback on the Black Eagle Athletic 11 Low. We are happy to hear that you found the boots to be comfortable with excellent arch support. As for your concerns with apparent design flaws, we have not had many complaints over these issues. But I will be glad to pass your issues up the chain of command for consideration. 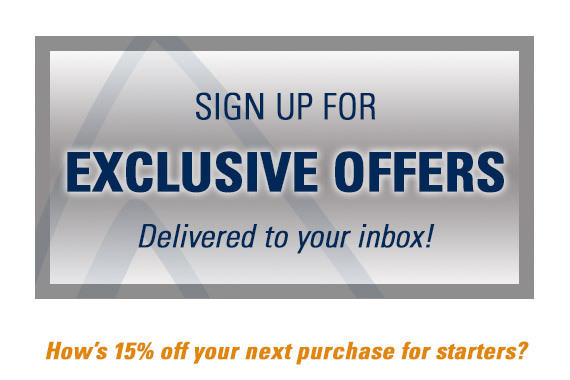 We hope you continue to be a loyal HAIX customer in the future. My second par of Hiax shoes. Great quality and comfortable. I wish this style came in wide width. I will continue to purchase. Maybe next time they will come with the wide width option. We appreciate you taking the time to give us feedback. I will make sure to pass along your concerns about the width. We hope you will continue to be a customer in the future. My daughter gave me my first pair of Haix shoes as a gift - Black Eagle Athletic 11. The are the most comfortable shoes I've ever owned, and my personal productivity has vastly increased because my feet never get tired! Thank you to my wonderful daughter and to Haix! Hi Susan, we're happy to hear that they are working out so well for you. Thanks for taking the time to share your feedback with us! Beautiful shoes. Very comfortable. Simply top of the line quality like any other Haix boots or sneakers I own. Well I took the shoes to a shoe cobbler so he could attempt to stretch out the shoe a bit. He kept it for about a week, the shoe did stretch but only for about 2 hrs then went back to its original state. Too bad it did not work because the right shoe felt very comfortable. Now I'm trying to find someone to buy the shoes from me. I still recommend these shoes even though I don't have the right fit. This is a review for 2 days of wearing the shoe, will comment more once I've had them a while longer. So in two days I can saw the shoes feel comfortable and would recommend as of now. I feel support near my arch, I'm flat foot and pronate so the sole helps out. The problem I have is that these shoes DO NOT come in wide. My left foot is a little weird which some times requires me to wear wide shoes, depending on the manufacturer. Well in this case I need wide so i'm not 100% happy with the product. My right shoes fits very well and like I said comfortable. I'm trying to make the left shoe wide my sticking items inside the shoe to expand it, hopefully that works. So... to HAIX, please make more WIDE SHOES. I would consider buying the Black Eagle 20's not sure if low, mid or high at this time. But I would not purchase them if not in WIDE. If I can't get this shoe to stretch out I might have to see if someone might want to buy them off me. SO again. please make Black Eagle's in wide. Thanks for your comments F Fernandez, I will be sure to bring it up to my VP. I am so thankful my husband found Haix boots. We were constantly purchasing different brands of boots. My husband was never really satisfied with other brands. He spent time in the military and told me all about boots and breaking them in. He says with Haix boots there was no breaking in period. He said Haix are so comfortable, they are like wearing sneakers. They may cost a little more but they are so worth the extra money. They have lasted so far for a few years. He has 2 pairs that he rotates. We have never had them resoled or repaired. These are the best boots. He swears by them. I am glad we can saved money by not having to buy boots all the time. We give them a A plus rating! My husband will only buy Haix boots.